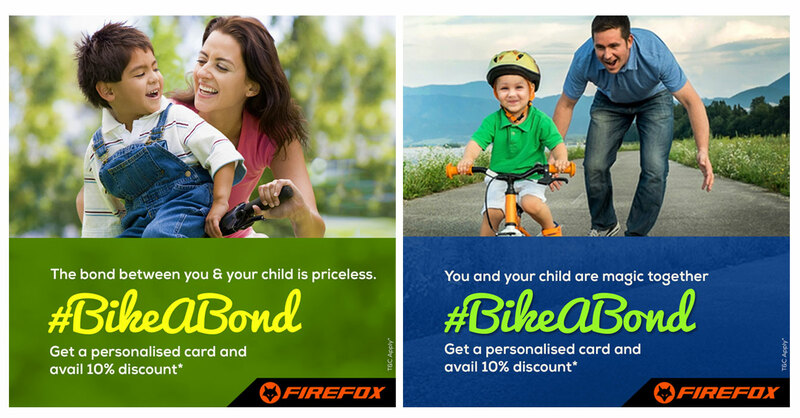 Firefox Bikes sought to launch their latest kids range of bicycles. And this time, they wanted to lure in the parents as well. Firefox bikes was all set to launch its latest kids range and this time they wanted the decision makers - the parents - to feel equally passionate about the bike as much as the kid who is getting his first ever bike. Parents were asked to leave us with a photograph of them with their child, along with a word on their chemistry, with their kid using #BikeABond. In return, Firefox gave them a personalised card that didn't just work as a warm gesture but also a discount coupon at the stores. 70 personalised cards given away along with the discount coupons in a day. Around 1 million impressions were witnessed and 2300 more people visited the website that day! © 2019 All rights reserved. DViO Digital.